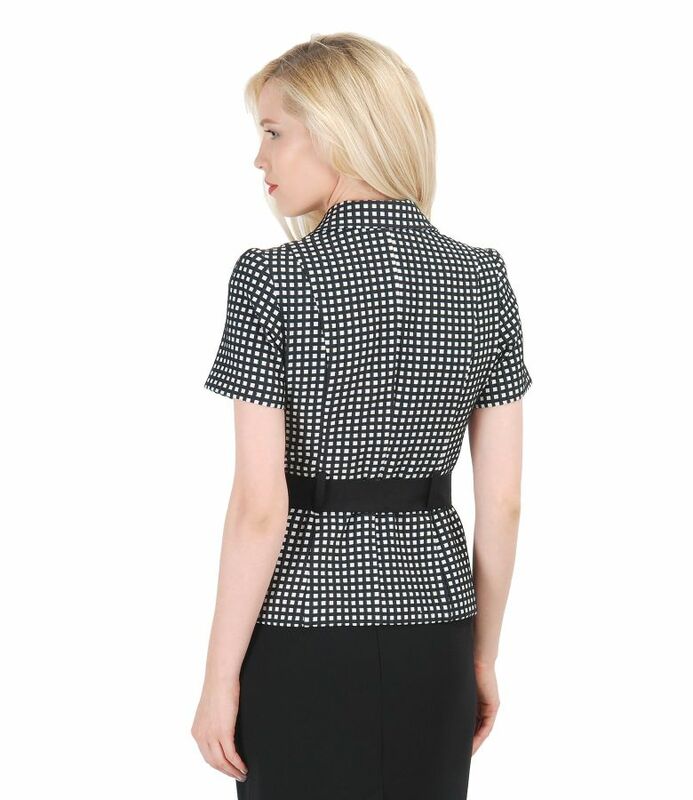 Black-white embossed elastic cotton jacket without lining, with wide lapels and short sleeves. Closes on front with 4 hooks. 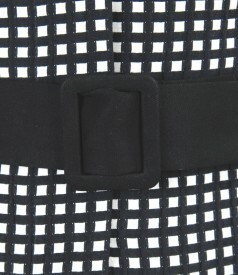 Tightens in waist with a detachable cord with buckle.